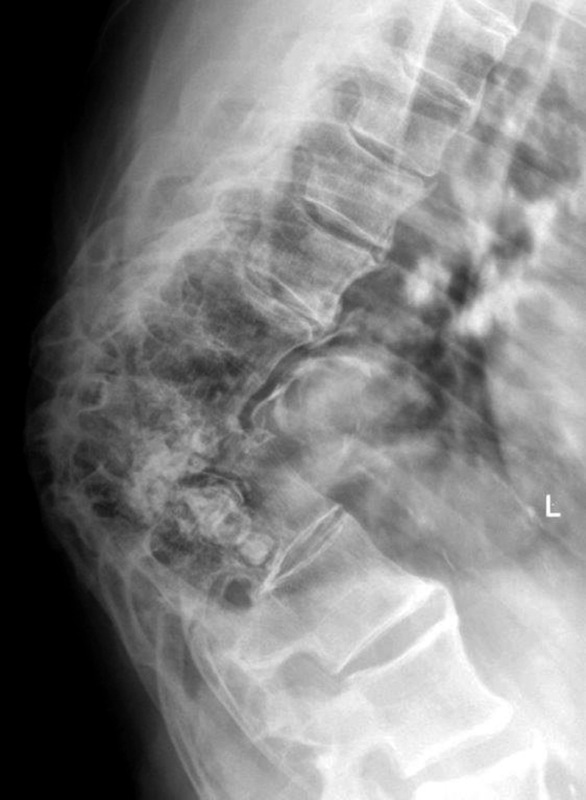 This lateral X-ray of a Dunedin patient shows the destructive effect of tuberculosis of part of the thoracic spine, known as ‘Pott’s Disease’. A hump back deformity is produced. ___, “X-ray of patient with Pott's Disease of the Spine,” ourheritage.ac.nz | OUR Heritage, accessed April 22, 2019, http://otago.ourheritage.ac.nz/items/show/11087.